The name Moduco comes from the abbreviation of « Modern Urban Company ». This new brand is a collaborative vision of two good friends – One who is an American watch designer, the other a Swiss product manager. Together they have a combined experience of more than 10 years in the watch industry. With this first collection they tried to create a watch inspired by the urban environment, modern aesthetics and industrial elements. A strong yet clean timepiece with some nice details. The first one that directly caught our eyes is the 3 dimensional roman numeral XII, that is more thick than the other numerals and on which there is a vertical brushed finishing. This special detail could remind us some skyline that you can find around Central Park in New-York. Indeed, they played with volume and they stayed well in the DNA of the brand. The dial has two layers… Matte upper layer dial with cut out indexes and lacquered sunray lower layer dial. This is made to give even more depth to the whole. To display the time they put skeleton hands with vertical brushed finishing on which they added Tritec Luminova C1 to give you the possibility to see the time in the dark. Dimension drives the design, and sot they found an interesting way to play with volume. 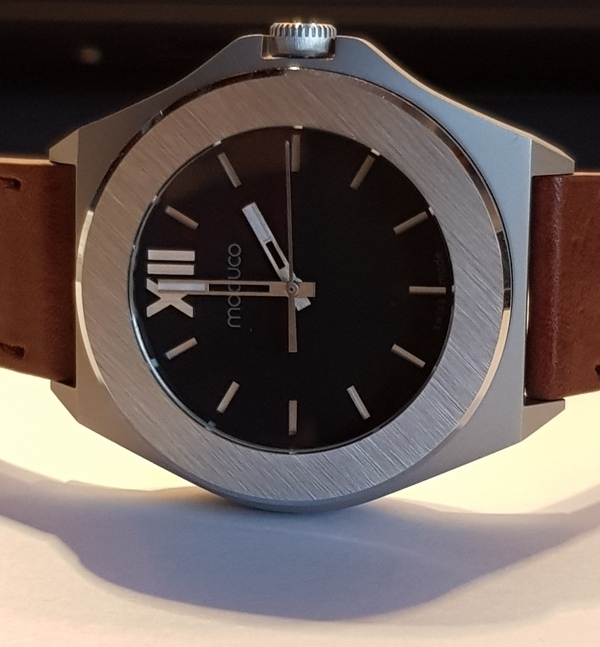 Moduco decided to add a cylinder bezel extruding through the case. What that means ? First, you have the outer case with lugs and crown, and then they slipped a cylinder inside. This cylinder, quite simply, is a second box. This one includes all the elements of the watch (movement, dial … etc). The two juxtaposed elements give a very strong look to the piece. In order to refine this very harsh impression that one can have at first sight, they have used and balanced traditional finishing techniques in a fresh new way to create a look that is both raw and subtle. The bezel displays strong vertical brushing along its sidewall while the top distinctly exhibits diagonal brushing. These surfaces are separated by a polished bevel and is finished with a sandblasted matte case-body. I must admit that I love how they played with the various finishing. The watches are made in Switzerland and so inside them you will find Swiss movements. 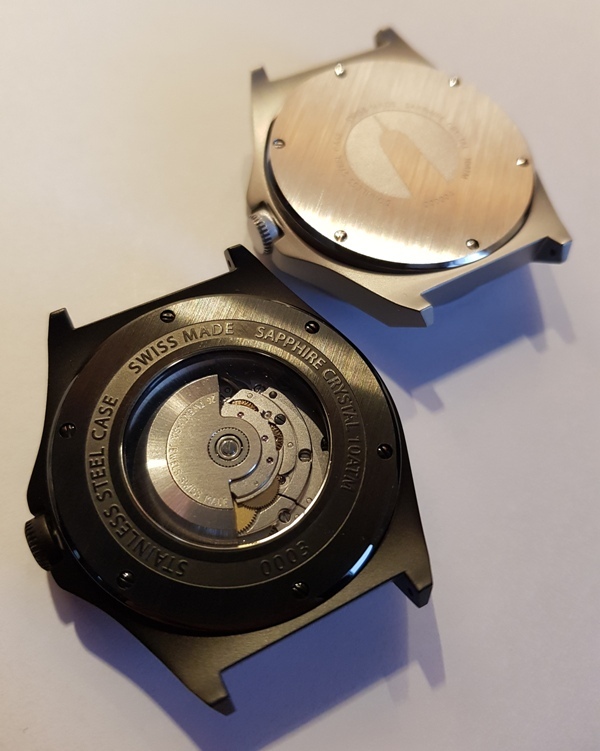 For the automatic version they decided to use the Sellita SW200 (a movement with 38h of power reserve), and for the quartz version a Ronda 513 movement. Well… a 44mm stainless steel watch with a lot of character, which I’m sure, will delight those who love the imposing pieces. 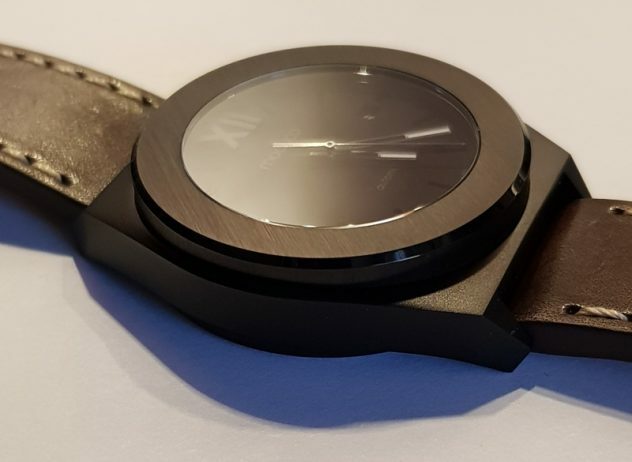 A very well thought watch that you’ll find quite soon on Kickstarter… So there will be your chance chance to get 40% off. 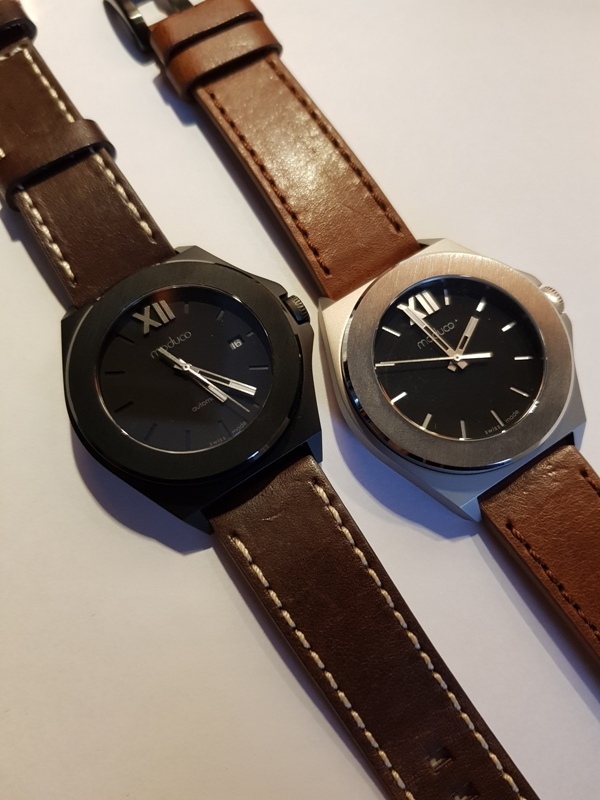 Great looking watches and the kickstarter prices offer a super value. Especially the automatic version looks very promising!